I just bought a 2nd hand laptop by occasion and it has only one problem: the Windows 10 was installed in Arabic language and I need it in English. I do not read/speak Arabic language. 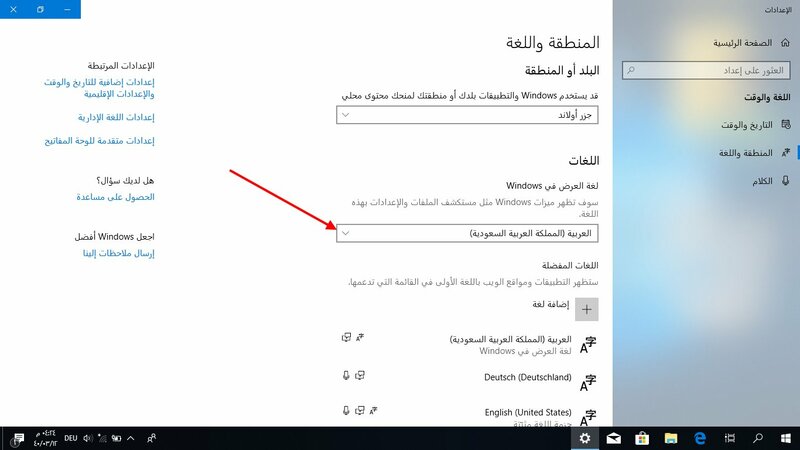 I looked over many YouTube videos in Arabic and English language about how to change the language in Win10. Unfortunately my screens that I see in Arabic language do not match the screens seen in Arabic on YouTube videos/tutorials, so I cannot do a blind click-click and by chance to change it into English. I can make print screens and then put them in USB stick and upload them here on EE from another PC – that I figure it out. I do not want to reinstall Win10 from scratch, but of course that is the last option. Below are the first steps which leaded me to, I hope, Language and Regional Settings in Win10, but where to click further and what to choose? I really need your guidance in step by step with pictures where shall I click in order to install the English language. Full guide there, the locations won't have changed. I have seen that link above that you provided, before I asked the question here. The location have not changed indeed, but look at my screenshots above - I cannot identify the screens when I click how is recommended in the link, that's my problem. The screens do not look the same. If you think I could click blind through all the recommended screens in the link above in an alien language which is equal for me as as Wingdings fonts in Word, that you understood wrong what I need. 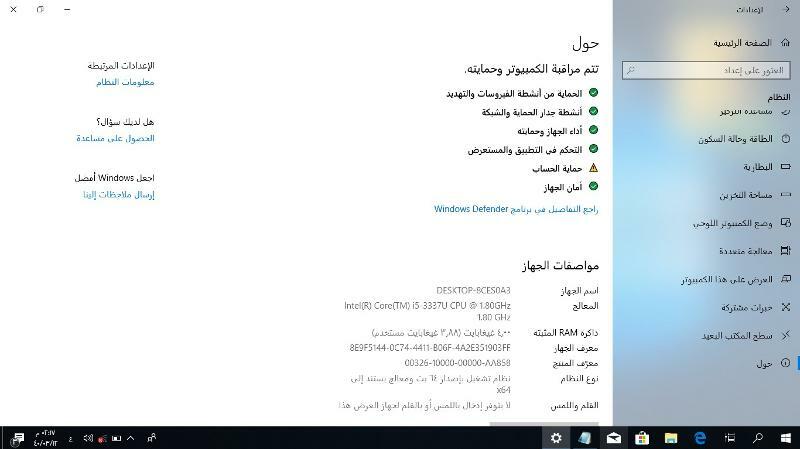 I cannot follow that guide, when everything seems laid out different in Arabic, the screen do not match what all the guides that I see on internet - I can post more screenshots, juts tell me what to click. .display the language pack still installed in Windows. .display the language pack available on a DFS/MDT share. .change the system display language in Windows. List all of installed system language in Windows. Specifies the installed system language. This example shows how to list all of isntalled system language in Windows. Successfully change the system display language. It will take effect after logoff the current user, do you want to logoff right now? This example shows how to change the system display language in Windows. 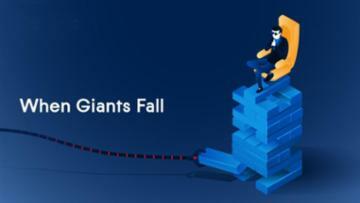 $Message = "It will take effect after logoff the current user, do you want to logoff right now?" #Write-Host "Language Packs DFS Root path : $DFSLanguagePacksRootPath\Packages\LanguagePack"
Write-Host "Found $($InstalledLngTags.Count) installed languages." Write-Host "This language pack $SetLanguage is not installed. Please install at first." Write-Host "Successfully change the system display language to :"$SetLanguage"." Write-Host "Installing $InstallLanguage language pack from DFS location." Write-Host "You need to restart the computer to be able to use this new language pack." Write-Host "Removing $RemoveLanguage local language pack from DFS location"
Write-Host "Language Packs DFS Root path : $DFSLanguagePacksRootPath\Packages\LanguagePack"
I managed to change the input language to English and I entered in command prompt. Then I was able to check the system version. 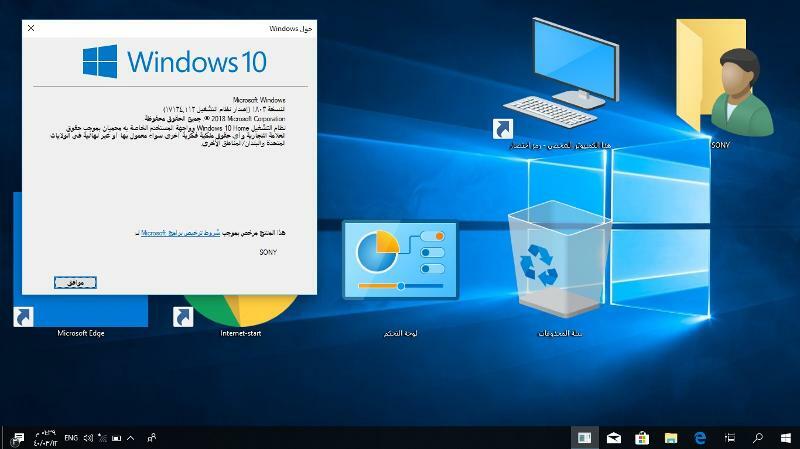 It is Win10 Home 2018 Build 1734, OS language 0x0401 (1015) Arabic-Saudi Arabia. The Win10 Build 17134 is version 1803. Do you think your proposed solution applies also to this this version of Win10 ? Somehow, blindly, I managed to arrive to Settings – System – About page, where normally should be mentioned if the Win10 is single language or multi language or in case is not mentioned, then is multi language, as much as I know. Do you speak/read Arabic language? If yes, then could you please read and tell if in the last screenshot below is somewhere mentioned that version of Win10 is SL (Single Language) or ML (Multi Language)? Does your solution require that Arabic laptop to be connected to internet? From where takes Win10 the English language if not from internet? I am afraid I cannot connect it to internet, but I can use another PC to download data and move with USB drive to the Arabic laptop. It would be the internet, you're going to have to get the language packs one way or another. 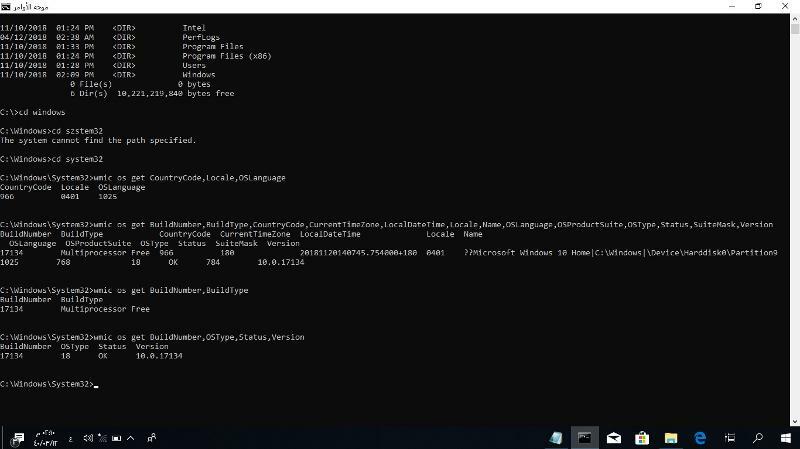 I have copied your script on C: and named it scriptp1.ps1, then with click right I see Run With PowerShell, a blue screen appears, asked me if Yes, No and few more, I say Yes, then nothing happens. If I go Run C:\script1.ps1 -setlanguage en-GB does not do anything, it just opened the Notepad with the script. By the way, everything that I see is from right to left, as in arabic language, very strange for my brain. Here is what I have done next. 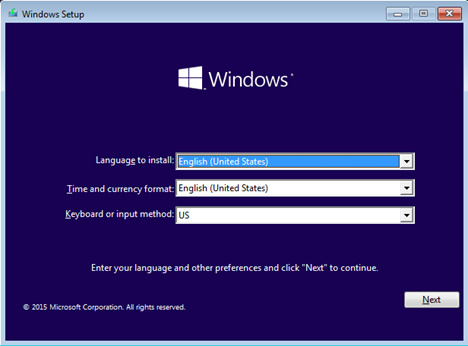 Now, how do I switch to english US, supposing is installed? 'Run' dialogue (Windows key + R) Then type "ms-settings:regionlanguage" without quotes and I arrived to the screen below. Then only blind, by trial and error, I found that besides some Arabic text there is also English text written as option and I supposed is the display language. I have just chose that and I restarted the laptop and finally I got the English interface. Was an ugly job to do it, but was good that I did not have to reinstall it. Thank you for your suggestions and the time spent with me.